Glenn Langohr has been relentlessly pursuing God's word since being redeemed from the drug war and a prison cell. He hasn't stopped writing since; with more than 60 published books, he disciples people in Redemption House by following Jesus Christ. 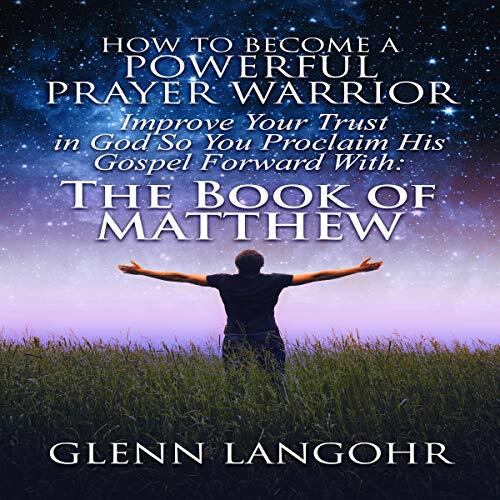 In this audiobook, he reveals Matthew's goal, to make clear to Jewish listeners that Old Testament prophecies have been fulfilled in Jesus Christ. The author employs no less than 50 quotations from the Old Testament. The book of Isaiah in particular has exercised a great influence on Matthew’s Gospel. The heart of the message that Matthew wants to pass on to his listeners is that Jesus is the Messiah and that with him, the Kingdom of God has "broken into" the world. This audiobook identifies the spiritual war that God's son defeated through his resurrection.